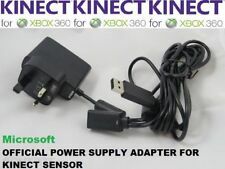 AC ADAPTER FOR XBOX 360 KINECT SENSOR. Provides power and connectivity to Xbox 360 console Kinect sensor. Xbox 360 Sensor Kinect is not included. Can be used on your Xbox 360 (all versions previous the newest slim version). Xbox 360 Kinect Adventures. We Are Always Happy To Help! 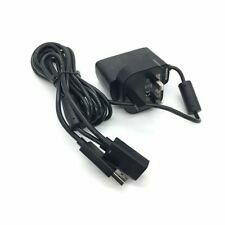 AC ADAPTER FOR XBOX 360 KINECT SENSOR. Provides power and connectivity to Xbox 360 console Kinect sensor. Can be used on your Xbox 360 (all versions previous the newest slim version). Xbox 360 SensorKinect is not included. Provides power and connectivity to Xbox 360 console Kinect sensor. Xbox 360 Sensor Kinect is not included. 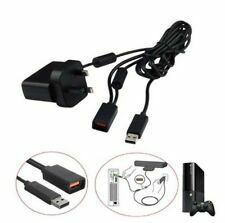 AC ADAPTER FOR XBOX 360 KINECT SENSOR. Provides power and connectivity to Xbox 360 console Kinect sensor. Can be used on your Xbox 360 (all versions previous the newest slim version). 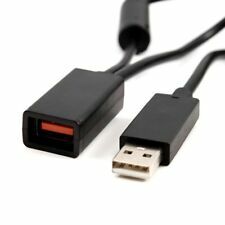 COMPATIBLE ACCESSORY FOR XBOX 360 (NOT A MICROSOFT PRODUCT).